The Gold Sovereign reached the height of its prominence and prestige under the record-breaking reign of Queen Victoria as the British Empire expanded. The Gold Sovereign was legal tender in 36 colonies during the 1860s and was widely used in countries with no allegiance to the British crown which prompted leading British economic historian, Sir John Clapham to name it ‘chief coin of the world’. What you may not realise is that not all of these coins were struck in Britain. Sovereigns were struck in many dominions of the British Empire. 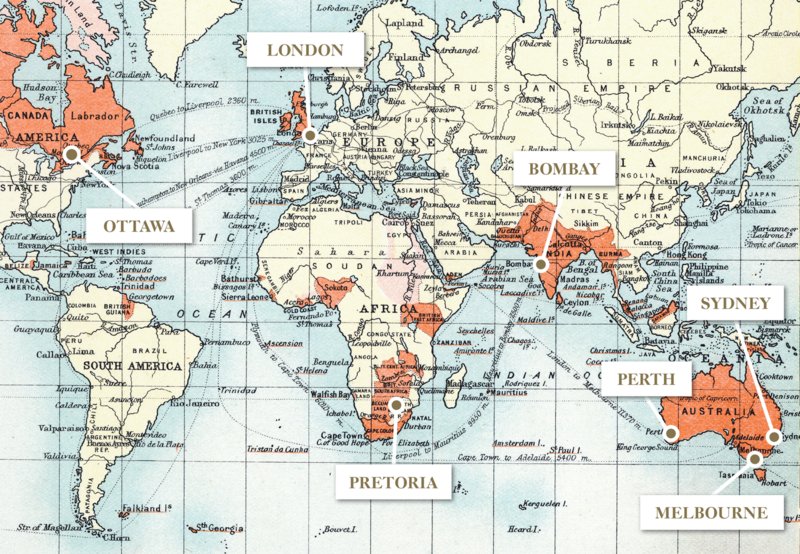 Between 1871 and 1932, Sovereign production was spread over four continents outside of Europe: North America, Australia, Africa and Asia, with branches of The Royal Mint in a number of major international cities. 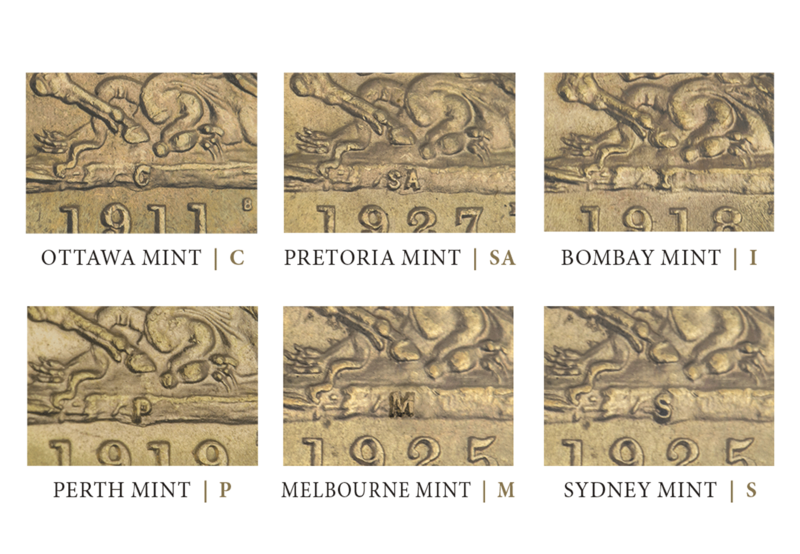 In order to distinguish where the Sovereigns were minted, The Royal Mint used a variety of mint marks. These were either a letter or several letters to show its origin. They are found on the coin’s reverse, above the inner two numbers of the date. AUSTRALIA – Gold was discovered in New South Wales in 1851 and three branch mints opened in Sydney, Melbourne and Perth. The mintmarks here bore the initial of the city they were manufactured in. SOUTH AFRICA – the African Sovereign is identified by its initials ‘SA (South Africa) and was struck in Pretoria. CANADA – Despite experiencing its first gold rushes earlier than Australia, a branch mint did not open in Canada until 1908. Sovereigns produced in Canada were marked with a ‘C’ signifying its Canadian origin. The Canadian Sovereign almost certainly contains gold from the Yukon. INDIA – Sovereigns struck in India are identified by the country’s initial ‘I’. Sovereigns here were only produced during the year 1918, so they are particularly rare and a target for collectors. During the reign of King George V, the British Empire reached its territorial peak. It had risen to become the largest formal empire the world had ever seen, holding sway of over 25% of the globe’s population and landmass. The Gold Sovereign emulated the success of the Empire – it was the go-to coin for international trade. The Sovereign was the most trusted and popular of all gold coins circulating throughout the world. But its reign as the King of Coins came under threat. The outbreak of World War I in 1914 and the economic crisis in 1931 seemed to put the Sovereign’s future into jeopardy. Was this the end? How can I own 1 sovereign. Please help me. I’m not good with email /computers. Can you please text or email me about the price as well.